1. Open the email app. 2. Click on the physical Menu button on your phone to bring up the menu. Select “Add account“. 3. 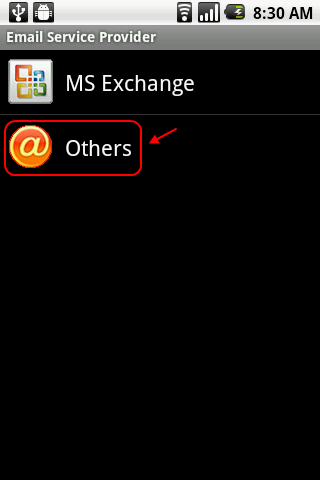 In the Email Service Provider screen, select Others. 4. Enter your Yahoo! Mail address and password. 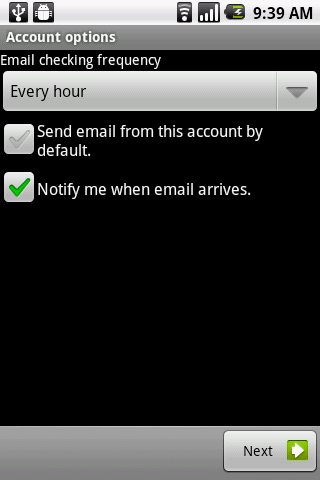 Check the “Send email from this account by default option” if you want to send email using this account by default. You can click Next and let the mail app to detect the settings. But in this guide, I’ll set it up using the manual method. So, click on “Manual setup” button. 5. In the Incoming server settings screen, fill in your username (full email address) and password. The POP3 server is pop.mail.yahoo.com and the port is 995. For security type, select SSL. Depending on your preference, you can either keep the email in the web or delete it after you downloaded the email into your phone. When I delete from Inbox – Delete the email in Yahoo! server when you deleted it in your Android phone. When I retrieve from Server – Delete the email in Yahoo! server after the email is downloaded into your phone. You won’t be able to view the email in the web anymore! 6.Â Next, enter the details of the SMTP server. This is the server that you’ll use for sending emails. The SMTP server is smtp.mail.yahoo.com, port is 465, security type is SSL and check the Require sign-in checkbox. 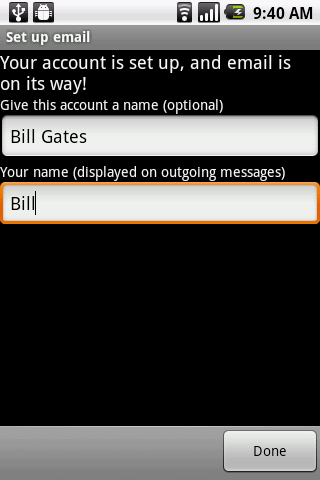 Then enter your username (full email address) and password. Click Next. 7. Select the options that fit your preference and click Next. 8. Give the account a name (this name will show in your Inbox) and the name you want to use when sending email. Then click done. 9. Now you can read your Yahoo! 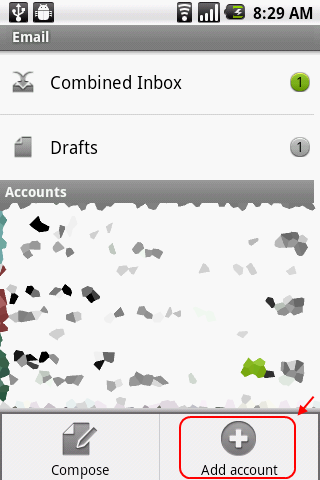 Mail using your Android smartphone! This entry was posted in Guide and tagged android, email, email client, mobile, pop, pop3, yahoo, yahoo mail. Bookmark the permalink. Doesn’t seem to work. Comes back with User name or password incorrect. I know both are OK since (a) the yahoo mail app works and (b) mail from my browser works. Any ideas? the only solution to my problem! thanks! works at the first try! Thank you very much!. Works OK!! Thanks for the excellent instructions! Worked perfectly! Thanks for giving back to help others. Thanks – very useful. 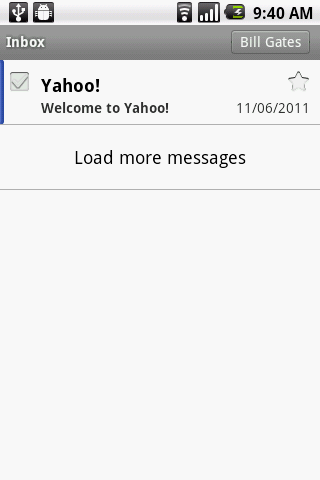 Is there anyway to import my contacts or would I be better using the Yahoo app? Thanks so much for this info! I’ve been trying and trying, nothing worked. Then I used your port information and it just seemed right. Thanks a lot! Excellent instructions. Worked first time for me. In order to have POP access to yahoo, you need to upgrade to Yahoo Plus. One more thing to pay for…. How come google does not ask for money to access your email on POP? Not that i love google, for all its nosiness, but srsly. Going into Settings > Accounts and Sync and changing the status of Background Data (if it is on, switch it off, and if it is off, switch it on. I’ve also had luck getting these settings to stick through simultaneously opening the native Android OS web browser and logging on to mail.yahoo.com through there. For some reason, accessing my E-Mail through the web browser followed by then trying to apply the settings in the native Android OS Email app (Menu > More > Account Settings > Outgoing Settings) permitted another small window in which I could send E-Mail from the native Android OS Email app. My plan of attack through all of this is to read E-Mail using my native Android OS Email app (the sorting options are far richer than the web browser version AND the official Yahoo! 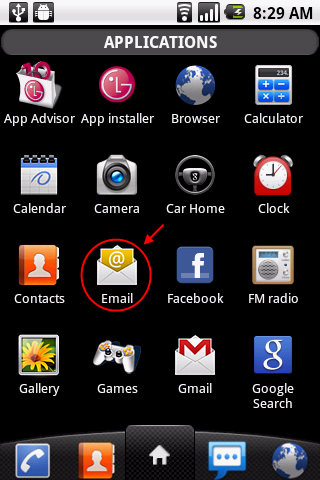 Mail app) and to compose E-Mail using the web browser version. Thanks! I had no idea that process was in my phone…the playstore yahoo apps did not download correctly before. thanks a lot… it worked out for me!!! !